hose crazy Vikings. They really did sail everywhere: Iceland, Greenland, Newfoundland, France, Iberia, Russia, Byzantium…. Don’t feel bad, we’d never heard of it, either. Actually, we initially thought it sounded like some ancient, Meso-American site. Turns out is is just a really out of the way part of Scotland. This is the first fully intact Viking boat burial site to be found on British soil, dating from about 1000 AD and contained what is believed to be a high-status Norse warrior in a 16′ boat. He was buried with an axe, a sword and a spear in a ship held together with 200 metal rivets. All rights AOC and Associated Free Press. It doesn’t look like the most comfortable final rest, pales compared to the famed Osberg burial and certainly nothing could be as impressive as this. But all tongue and cheek aside, this is a major find – both for the rarity of ship burials and the late date at which it was likely made. One can only hope that more photos and data from the AOC find will be released in the future! Until then, the best details seem to be in this story from the Guardian. * We’d be terribly amiss if we didn’t point out that the 1987 Norwegian movie of the same name, featuring Norsemen and Lapps, was a brilliant film, nominated for the Academy Award for Best Foreign Film. 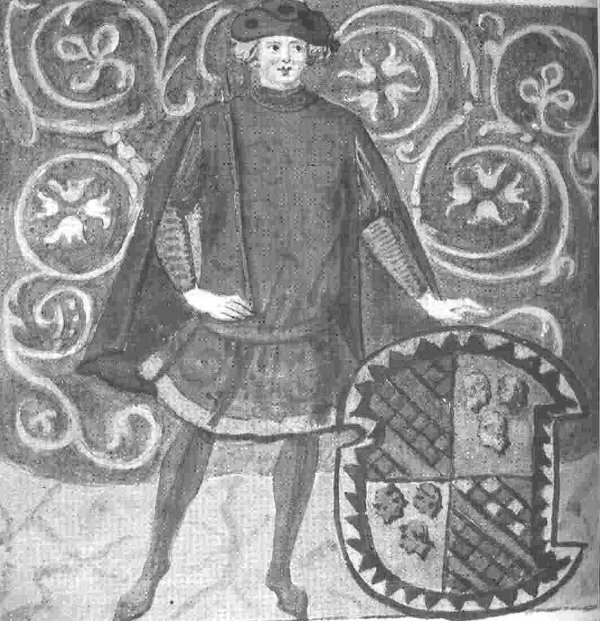 A 15th-century illustration of Malatesta IV Malatesta. he Malatesta of Rimini were an old noble family who rose to wealth and power as condottieri – mercenary soldiers – during the on-going clash of Pope and Emperor, Florence, Milan, Venice and their allies that characterized Italy in the 14th and 15th centuries. Ambitious, ruthless, with 100-year old patriarchs, hunchbacks and patrons who commissioned churches built in the form of pagan temples, they often appear the consummate, mustache-twirling villains – and with a name like “Evil Head”, how could they not? Perhaps the family’s most famous scion was Sigismondo, whose long feud with Federigo da Montefeltro is the subject of Hugh Bicheno’s excellent Vendetta: High Art and Low Cunning in the Renaissance. But one of the most fascinating traits of Italy’s despots was their odd mix of brutality and humanistic love of the arts. As an example, here is a charming little sonnet, written by one of Sigismondo’s ancestors, Malatesta dei Sonneti Malatesta (1370 – 1429) upon the death of his wife, Elizabetta de Varano in 1405. Born in Pesaro, he was the only son of Pandolfo II Malatesta and his second wife Paola Orsini. He became lord of Pesaro in 1385. He spent the next seven years fighting as a condottiero for both the pope and Venice, against the growing power of the Visconti of Milan. In 1392 he was excommunicated by the pope for having conquered the papal possession of Todi, while in Venetian employ, but this did not stop him from becoming the Captain General of Bologna in 1394 for the anti-pope, Benedict XIII. This philosophy of “a new day, a new pope, a new contract” would serve Malatesta well for the next two decades. After conquering Narni and Orte for himself, he made peace with Pope Boniface. By 1404 he was back in Venetian employ, leading 20,000 troops against Padua. However, the Venetian armywas defeated and returned to Pesaro in late 1404, after which Malatesta made a pilgrimage to Santiago de Compostela. It was during this trip that his wife and mother of his seven children, Elizabetta, grew ill.
By 1409, Malatesta had again switched to serve the anti-pope, but ever the pragmatist, by 1412 he had again made peace with the pope, and thenceforth warred against antipope John XXIII. For the next decade he remained in papal service, although often fighting for Florence against Milan. Another man than who I was, I waned. But burn in fire, there where her heart did rest. Until the end of time, as God decreed. My body would be laid by her blest ashes. Malatesta dei Sonneti Malatesta retired at Gradara, where he died in 1429. 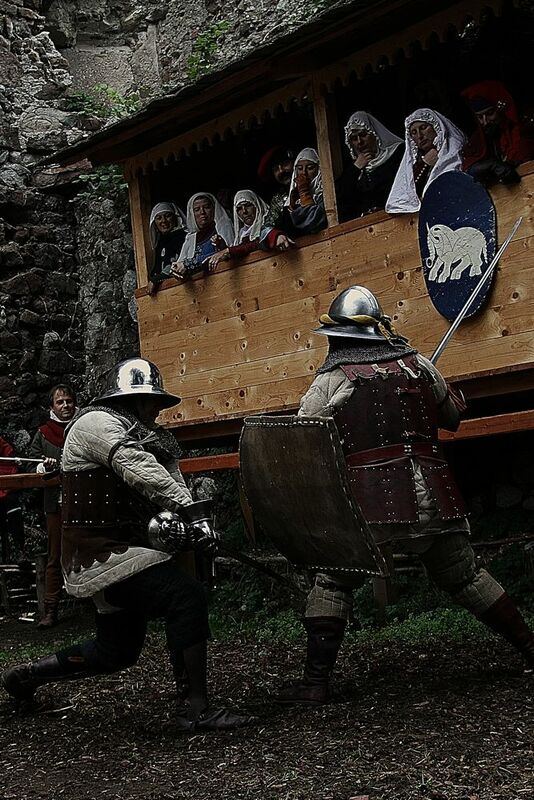 The Malatesta family would continue to be a power through the 15th century, but their fortune and land would slowly fall to other ambitious familes: the Sforza and Borgias. Really? Did they ask the guys who *use* the armour? Medieval suits of armour were so exhausting to wear that they could have affected the outcomes of famous battles, a study suggests. Full disclosure: when we first heard about this study, it was from a link to a short article on the History Channel’s webpage. Knowing the HC’s policy of only basing its article and programs on carefully considered historiography, archaeological sources, scientifically rigorous data gathering and a strict avoidance of sensationalism (you know, like Ancient Aliens, Ice Truckers or that show about the guys running a pawn shop)…oh, yes, that was why we never followed up on it! But it turns out that this was a serious study done at the University of Leeds, by real scientists. So how is it that their study found that armoured combatants of the late Middle Ages were hampered to the point of exhaustion by their armour? Especially when so many demonstrations of men in harness – including at the Royal Armouries, who provided the test subjects and armour, make note of how relatively easily an armoured man can run, climb, roll, mount a horse, and so forth? Really? 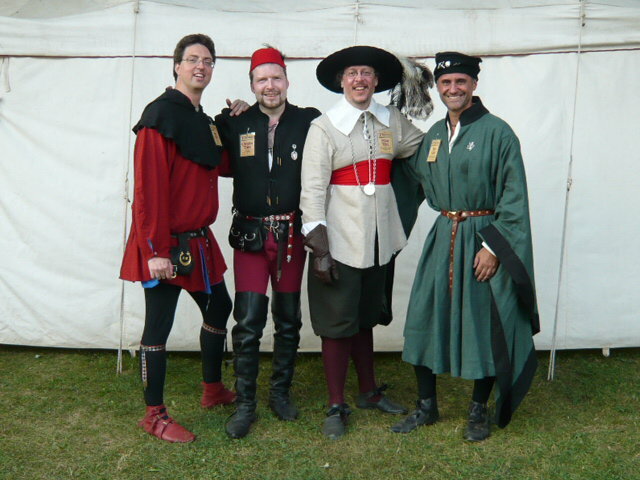 While 30kg, or approximately 66 lbs is a fair approximation of a late 14th century harness, 15th century field armours – as opposed to jousting armour – generally got lighter. And 110lbs of harness? Where does this figure come from? The data sample for the study is freely available on the Royal Society’s website: http://rspb.royalsocietypublishing.org/content/early/2011/07/15/rspb.2011.0816/suppl/DC1 Unfortunately, it is quite problematic. Firstly, there are only nine sample harnesses. Of these, one is the Churburg 19 harness, an armour made for a man who would be a giant by modern standards, at nearly 7′ tall. This is the 53 kg harness; all of the others are between 25 and 34 kg. Of course, two of those are the modern reproductions, one of which was a pretty good average at 30 kg, the other which was on a par with the heaviest armour (except for Churburg 19) at 38 kg. Fair enough, but this means the data sample is really five armours (all composites). That isn’t a very large data set, especially only one of the armours is contemporary with Agincourt, the battle to which the researchers applied their conclusions. 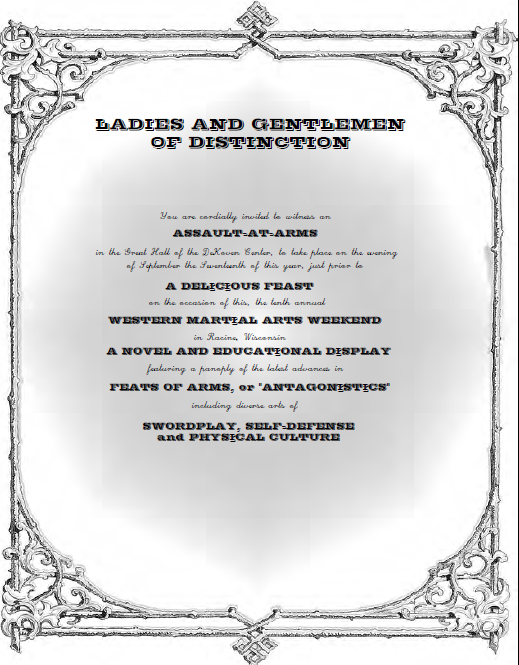 Regardless, the data set, small as it is, points to something that arms and armour scholars have noted for years: the average harness weight is approximately 60 – 70 lbs; about equivalent to the load of a modern soldier in full gear, or the heavy infantry of Rome and Greece, likely because that is what a man can carry and still fight effectively. So it is even more interesting the the study concluded that soldiers in modern field gear felt far less encumbered with their weapons, armour and field packs. 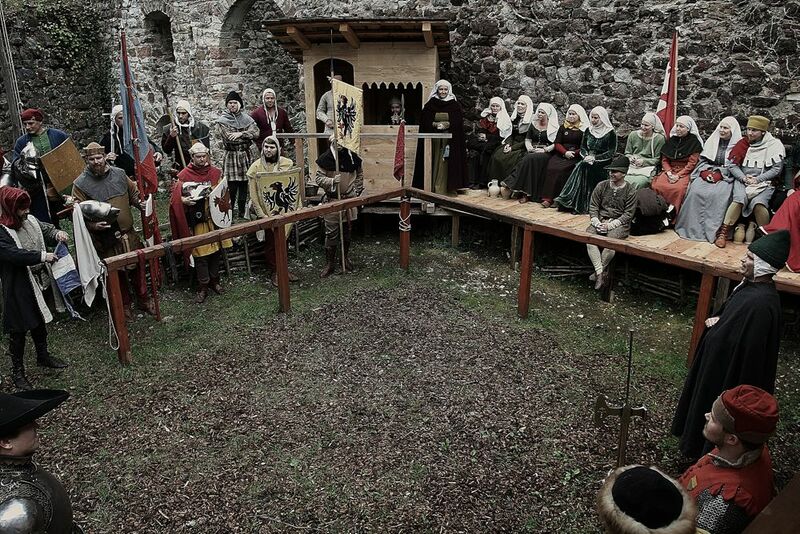 Considering the number of modern soldiers who seem to enjoy reenactment combat, one would assume that this conclusion was based on both subjective and objective findings, right? You know, what do the guys who actually experience strenuous activity in the gear think? Surely this was noted as well? 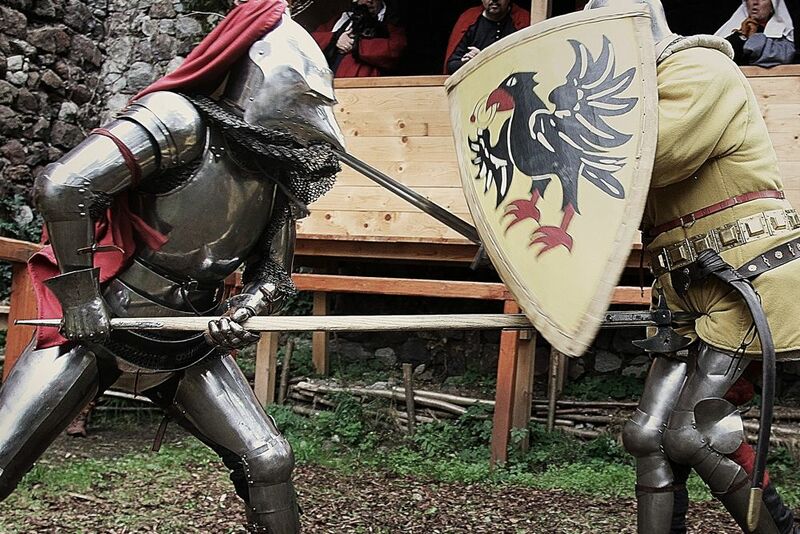 To study this, researchers asked four participants, who regularly re-enact battles for the Royal Armouries in Leeds, to don their exact-replica armour from England, Gothic Germany and Italy and get onto a treadmill. By recording how much oxygen they took in and carbon dioxide they produced, the team was able to calculate how much energy they were using. High-speed cameras also helped the researchers to study how the volunteers were using their limbs. Of course, walking and running a treadmill does not use the same sort of motions or mechanics as fighting, it does not produce endorphins and adrenaline in the same way that combat does. “It is interesting to use scientific method to answer these questions, and it confirms what we have always suspected – heavy armour would very much reduce your ability to run around. 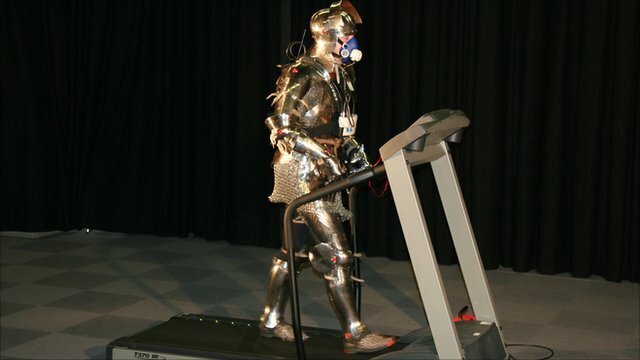 And certainly, the University of Leeds has proven one thing: don’t wear your armour on a treadmill! Would you buy books from these men? hey say it gets lonely on the road. After a busy spring, summer was largely taken up with one of the most onerous tasks of the publishing industry: production snafus! No one likes when a project goes astray; it’s a hundred times worse when technology, third parties and just pure bad-luck are to blame. So, when the going gets tough, the tough mix a little business with pleasure in the infamous “sales trip”. In August, we were off to the hills of western Pennsylvania for the Society for Creative Anachronism’s 40th annual “Pennsic War”. Pennsic is a hard thing to explain if you’ve never been there: a 12,000 person tent-city that is a unique combination of reenactment, Renaissance Faire and Burning Man festival all rolled into one! 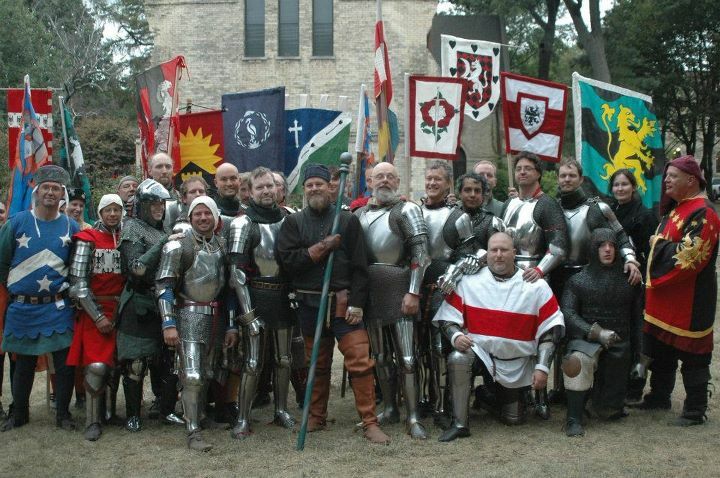 Over the years, Pennsic has also become an increasingly hospitable home for students of historical European martial arts to meet and exchange ideas, whether they are reenactors or not. 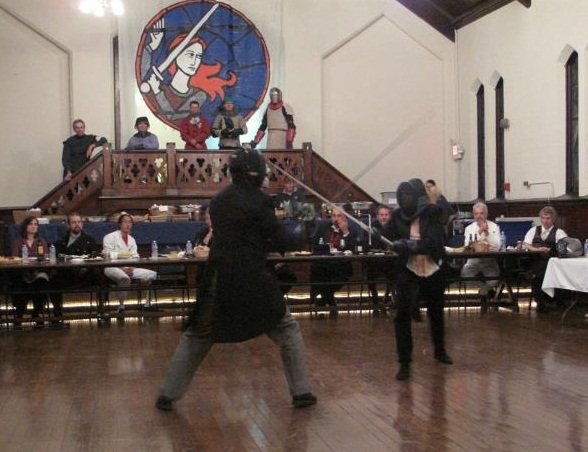 Last year it was big shields and paired swords; this year Tom taught classes on Bolognese sword and buckler and the history of the judicial duel in Italy. Christian took a similar tact in his class on the Glasgow Messer Treatise, which is an entire curriculum in miniature for this unique, falchion-like weapon. 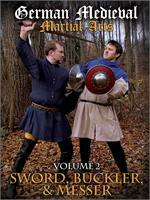 Christian also taught additional classes on the German longsword and the dagger material in Peter Falkner’s Fechtbuch. 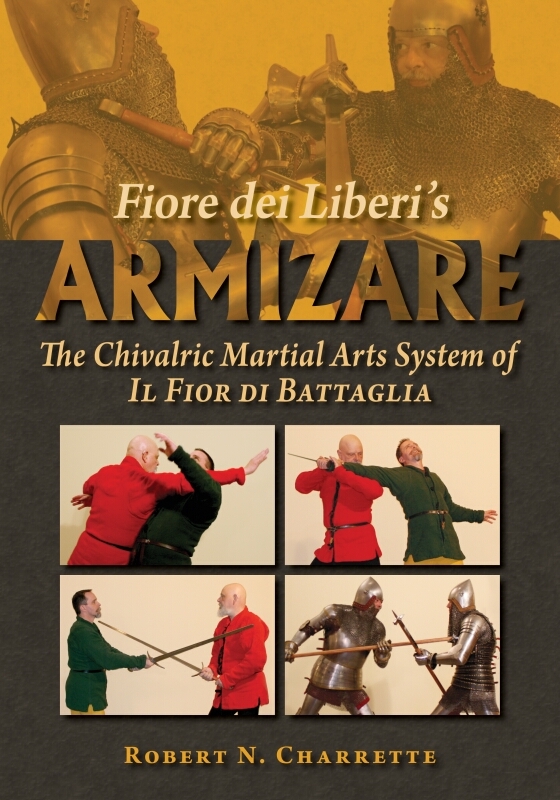 Finally, Adam taught four hours of classes on the rapier and rapier and dagger of Salvator Fabris, each building on those preceding it. Of course, there were many other classes and instructors, such as those by our friends Scott Wilson and Dr Ken Mondschein. I wish I could say that we saw them all, or even many of them, but contrary to what everyone thinks, this really was a working trip, so if we weren’t playing instructor, we were generally inside the booth. A huge thanks to all of you who met us with sword – or book – in hand, came to our wine and cheese soiree, or just popped your head inside the tent to tell you us you appreciate our work. It really does make a difference!